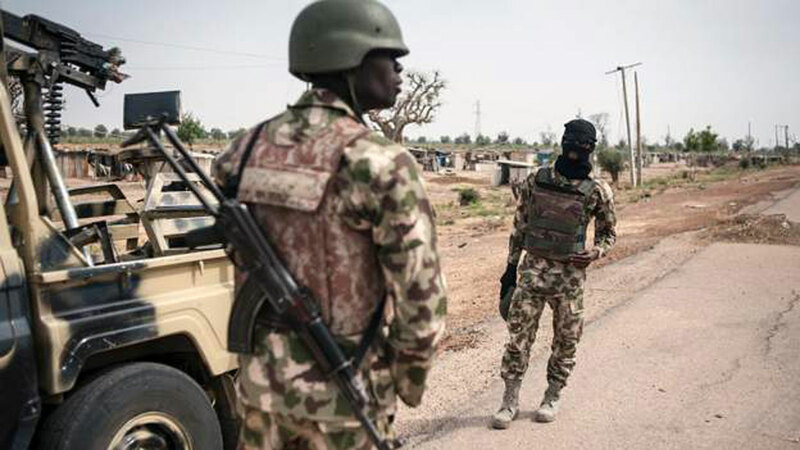 The Nigerian Army says its troops have killed three Boko Haram insurgents while on fighting patrol in Kukawa in Baga Local Government Area in Borno on Sunday. According to reports, the Director, Army Public Relations, Brig.-Gen. Texas Chukwu, disclosed this in a statement released in Maiduguri on Monday. Chukwu said the terrorists were intercepted by troops of 82 Division Task Force Brigade Deployed in the area. Kalamari village, 30 Kilometres to Kukawa town. He said the insurgents who were on a looting and extortion spree in the village were intercepted by troops of Operation Lafiya Dole. “During the encounter following a superior fire power of the troops, three members of the Boko Haram terrorists were neutralised,”he said. The director listed items recovered from the terrorist to include, three AK 47 rifles; two magazines and four rounds of 7.62mm ammunition. “Meanwhile, the gallant troops have continued with aggressive fighting patrol, as efforts are ongoing by the troops to track down other fleeing members of the Boko Haram Terrorists from any hideouts. “Members of the general public are advised to report any suspicious movements or activities in their general area to the law enforcement agents for prompt action,” he said.